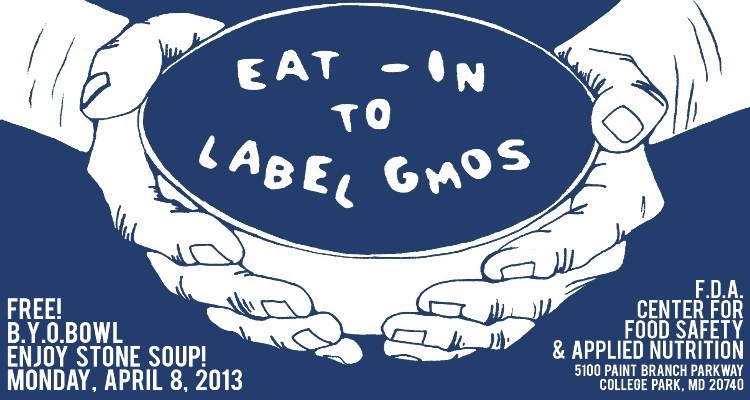 REAL Cooperative is partnering with Occupy Monsanto to launch an action at the FDA to Demand GMO labeling! As buses to the Eat-In are scheduled, we will list them below along with contact and sign-up information. This page will be frequently updated. Where and When is the Eat-In? 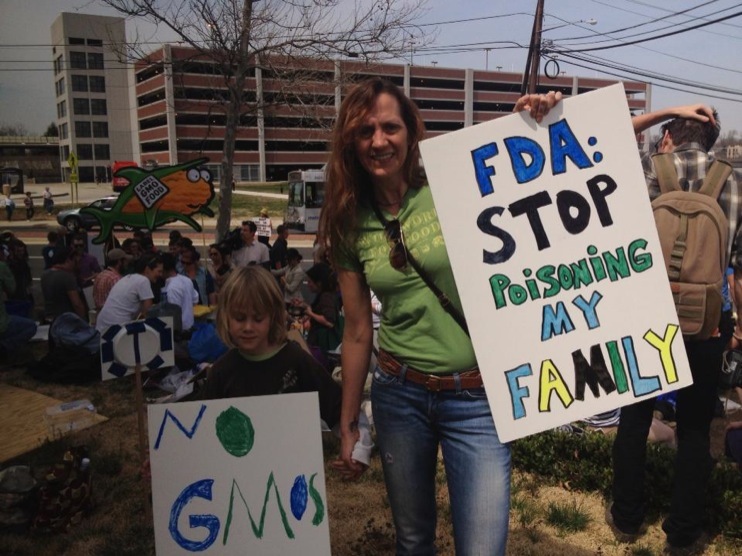 On Monday April 8th, Americans will head to the FDA, to face down the institution that chooses Monsanto’s industrial interests over policy, transparency, and public health. 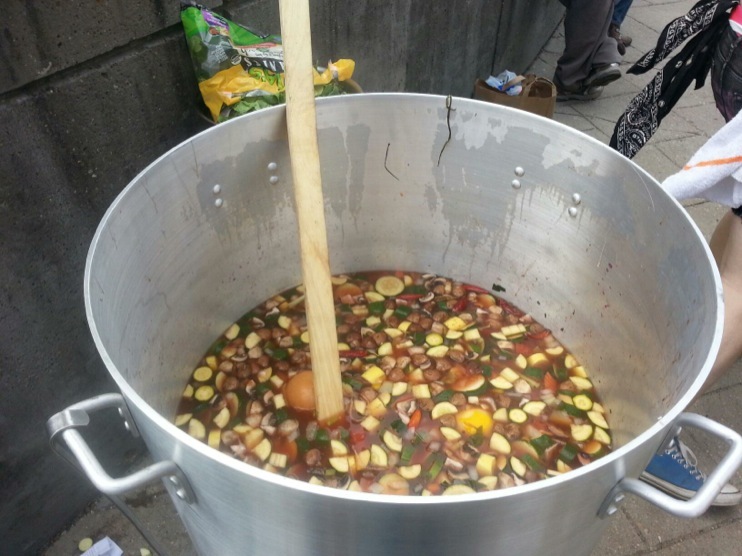 Many different versions of the fable “Stone Soup” have been written throughout history. One story is about a hungry soldier who, when passing through an impoverished village, announced that he would make ‘stone soup’. The promise of mysterious Stone Soup persuaded the small village to pool its resources and offer up its hidden onions, carrots, and spices to feed everyone in town. By working together, with everyone contributing something, a greater good can be achieved. Today, America can be a food desert, devoid of healthy options and corporate transparency, but with our resources combined, we can move toward a more informed, healthy, and just food system. 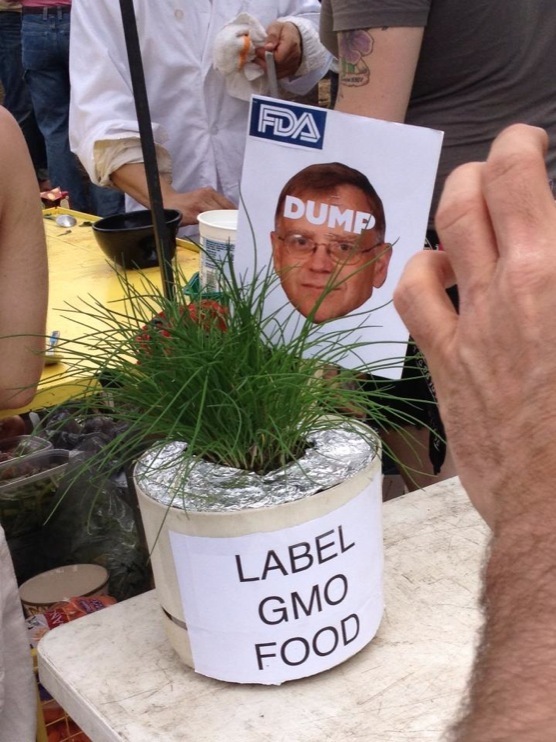 Mandatory GMO Labeling, Testing and Regulation is a BIG step along the way to an honest and sustainable food democracy in the USA. 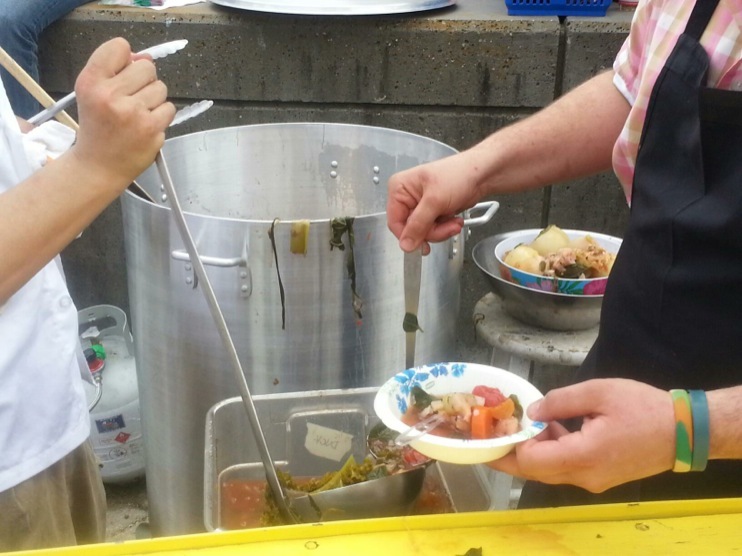 Bring a bowl, spoon, mug, and Organic fruits & vegetables from your community. How can I get to Washington, D.C.? Are carpools or buses available? Can I coordinate a bus from my area? ABSOLUTELY! To be a bus coordinator, please sign up here and an organizer will be in touch with you shortly. Bus coordinators are responsible for reserving their bus, working with organizers to recruit riders, and taking care of logistics like payment and pickup locations. Where can I find housing in Washington, D.C.? You can find personal or group housing in the D.C. area through the Washington Peace Center’s website — please contact the churches, hostels, etc. 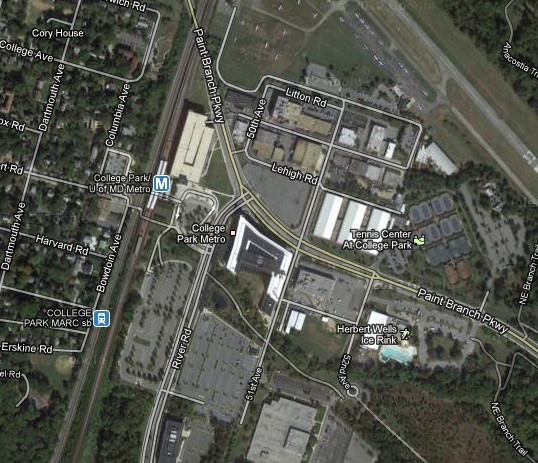 listed to find out their availability, not the Peace Center. How can I volunteer at or before the Eat-In? Volunteers will be critical to making this day a success. 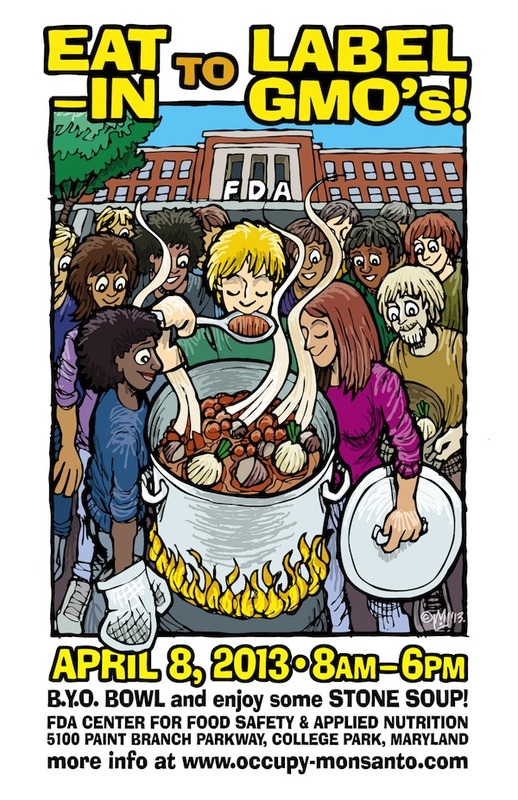 To volunteer for the Eat-In @ the FDA on April 8th, sign up hereand an organizer will be in touch with you shortly. From Bus Captains to Sign Painters, Phone Bankers to Set-up/Clean-up crews, we will not be able to do this without your help. We really need help spreading the word to everyone about the Eat-In on April 8th! We will soon have fliers, posters and other materials so please look for those soon, either here or in your e-mail. For now, please share the FB Event Page and make a point to talk to 3 or 5 or 10 or 100 friends! Come anyway! As with any event in April, be prepared for any kind of weather. The FDA will continue forming policies that are not in our best interest unless we show up to have our voices heard rain or shine. We will be sure to have plenty of hot drinks for everyone in order to keep our spirits high! But don’t forget to bring your own mug, spoon, and bowl! Will there be direct action or civil disobedience? 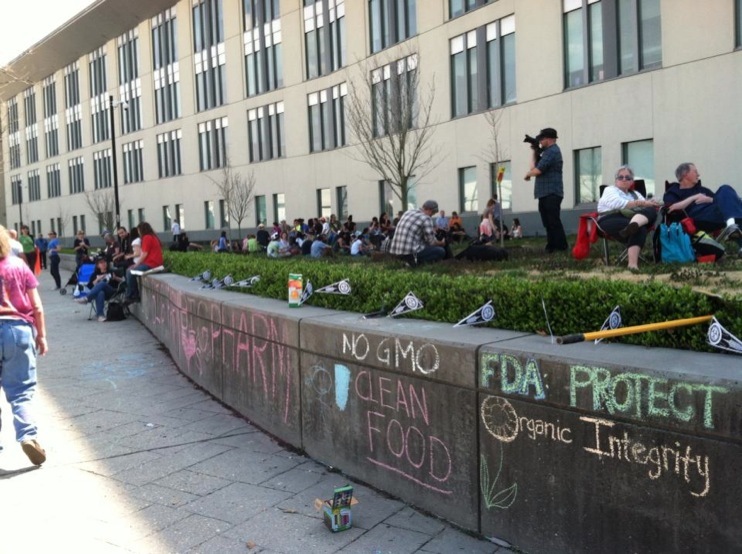 No, in planning for the April 8th event, we have made the strategic decision that the Eat-In itself is the most powerful way to get our message across to the FDA, Federal Government, Media and General Population. We believe that many different tactics, including Non-Violent Direct Action and Civil Disobedience, are needed to win the campaign for Food Safety, Transparency and Justice in America. But today we’ll be Eat-In. That’s great — thank you! From recruiting to co-sponsoring the rally, the climate needs all the help it can get. 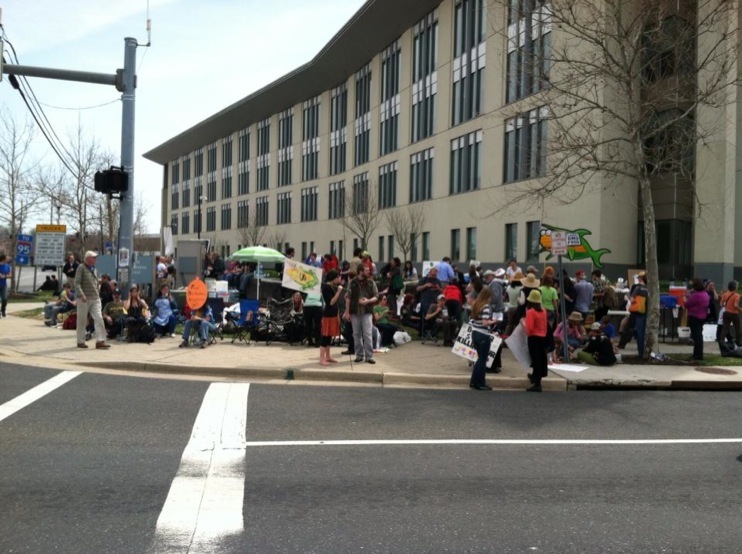 Please emailStoneSoup@Occupy-Monsanto.com and an organizer will be in touch shortly. How do I get around Washington, D.C.? The Washington Metro is the best way to get around Washington, DC and out to College Park, Maryland. You’ll want to buy a SmarTrip fare card (either online or in a Metro station once you’re here) and be sure to stand right, walk left when using the escalators (trust us, the locals are really cool but they’re pretty touchy about this one). SmarTrip fare cards are the most convenient way to use the system and though they cost $5, their fares are cheaper and will save you money after your fifth ride. The city also has an extensive bus system and one of the best bikeshares in the country. For more information about how to get to and from the Eat-In from DC please go to “How do I get to DC” section above.